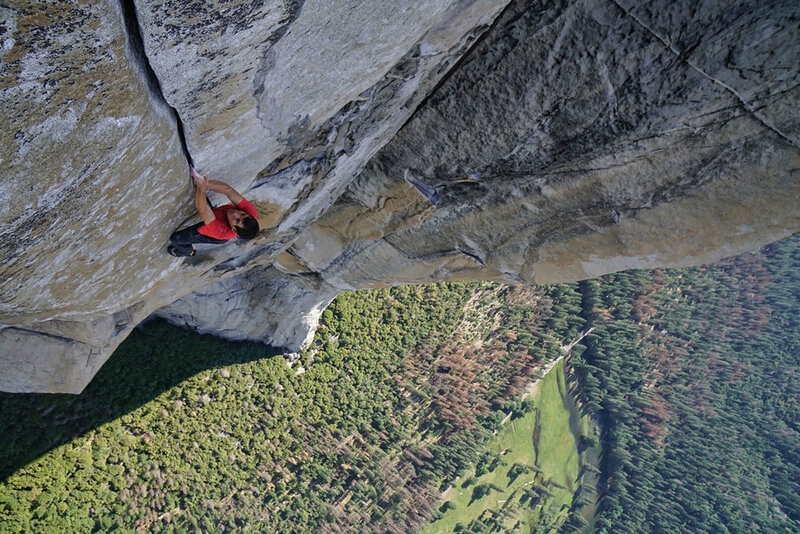 I’m not sure how many times I watched the 35-second video segment of Alex Honnold, the world-famous rock climber, scale the 3,000-foot face of El Capitan without a rope in under four hours. I pressed the replay button over and over again, and even watched the same commercial without much irritation. It was the day after this historic and most dangerous feat of June 3, 2017, when I, along with the rest of the world, wondered what would compel a person to take such a risk? And what level of courage would be required to step out of his comfort zone to do it? I had visited Yosemite National Park last summer, and we stopped on the roadside at the base of El Capitan to get a real perspective of this magnificent peak. I remembered having read somewhere that it was a considered something of a rite of passage for the most elite of the rock-climbing world, but I did not even consider that anyone would actually attempt to climb it without a rope. When I think about courage and bravery, the image of a tightrope walker balancing on a line between two skyscrapers pops into my head. Or maybe it’s a firefighter dashing into a burning building to save an elderly woman that fills my mind’s screen. I’ve watched enough YouTube videos of extreme sports—surfers, sky-divers, flying-suit flyers, and parkour jumpers—to understand that some portion of the human race runs on high-octane adrenaline, and risk-taking feats are second nature to them. But courage has another face that is more subtle and looks much less dramatic. The situations we might face requiring courage are more often everyday interactions; from the outside, they appear as harmless, low-risk exchanges. In reality, however, they can raise our levels of anxiety and adrenaline as high as if we were anticipating stepping off the bridge for our first bungee jump. I was surprised by some of their answers, but not surprised by the variance between individuals. For people with high levels of social anxiety, meeting someone new and making small talk requires as much courage as making a presentation to executives does for others. Some said they would have no problem calling their boss out on his misbehavior, but would die before telling a colleague that he or she smells bad. Courage is always necessary for us to step out of our comfort zones, and our everyday work and social situations require everyday courage. Everyday courage is the kind we have to draw up in the moment, when a situation presents itself with potential for conflict, rejection, loss, or moral compromise. These situations may not in reality be as life-threatening as scaling El Capitan without a rope, but in the moment can feel just as intimidating. Speaking up, voicing concerns, disagreeing with a directive, setting limits, challenging the status quo, applying for a new position, doing “the right thing”, or taking a leap of faith with a new idea—these all require everyday courage. Everyday courage doesn’t get captured on video or go viral most of the time. It’s just what keeps moving us forward toward what we really want. We hope you’ll share your responses to our questions each month (on FaceBook, Instragram, or by submitting it here on the blog), but especially now, starting this month. It might require just a little bit of your everyday courage, but don’t worry. We’re here with the safety net.